Please welcome Steve Lancaster. 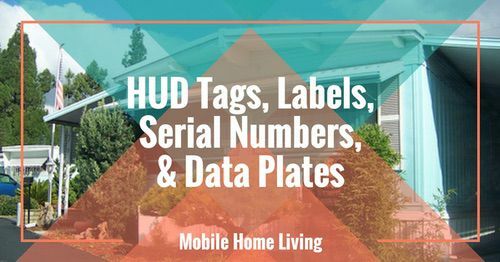 He is the founder of a great Facebook group, Manufactured Housing and Mobile Homes. 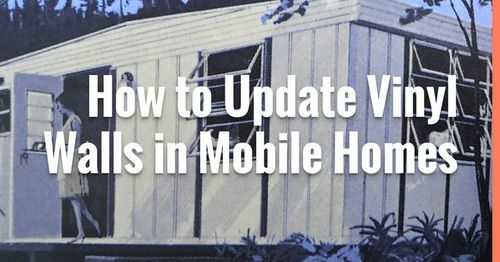 I’ve never met a more knowledgeable person when it comes to modern and classic mobile home models. I asked Steve to write about his favorite model of all time, the Fleetwood Festival which is also known as the Fleetwood Broadmore in some parts of the country. His knowledge and passion for mobile homes are unparalleled. Fleetwood Festival with the side windows! From the early 1970’s to the early 1980’s Fleetwood made a single wide that I have always admired. It was called the Fleetwood Festival though in some markets the company used the name Fleetwood Broadmore. It was a very attractive home with a floor plan that made excellent use of space, both in the twelve wide and the later fourteen wide models. The decor of the home generally included wood beams on the ceiling with matching wood plank cabinet doors in the kitchen and laundry. Interior of a Fleetwood Festival. 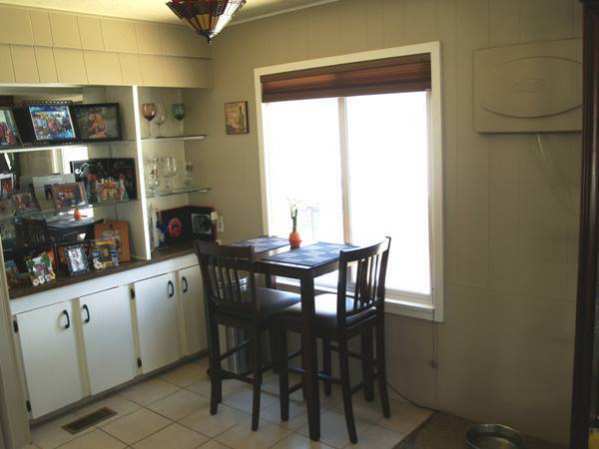 The dining area had a built-in hutch. This Festival’s dining area has been updated. Love those built-ins! Another example of the dining area in a Fleetwood Festival. The kitchen had a large overhead lighting system as well as unique cross plank ceiling. Kitchen layout in a newer model Fleetwood Festival. Leaving the master bedroom and walking toward the front door, you entered the small back hallway which had the back door and the laundry area. 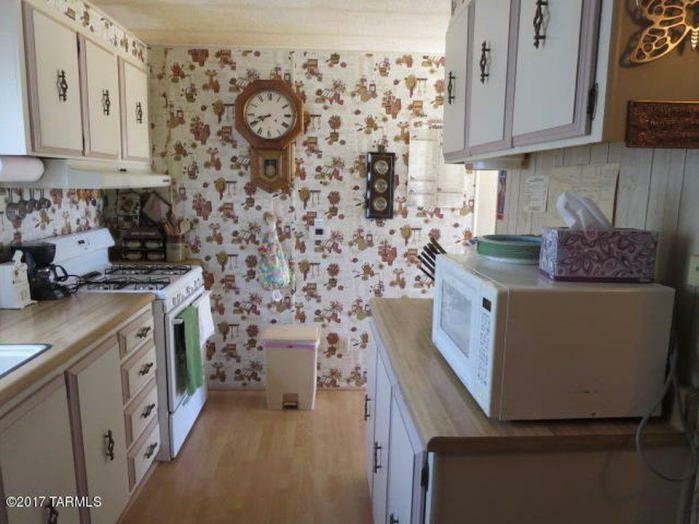 The laundry room cabinets matched the kitchen cabinets. To the right was the HVAC unit. Beside that was a pantry closet. Laundry area, looking into the Festival’s kitchen. On the other side of the wall with the washer and dryer is the dining room. 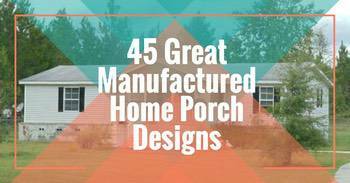 Related: See 6 great mobile home kitchen makeovers. Going from the laundry room into the kitchen there was a long row of cabinets and an area along the front side of the home that housed the stove, sink, and the fridge. 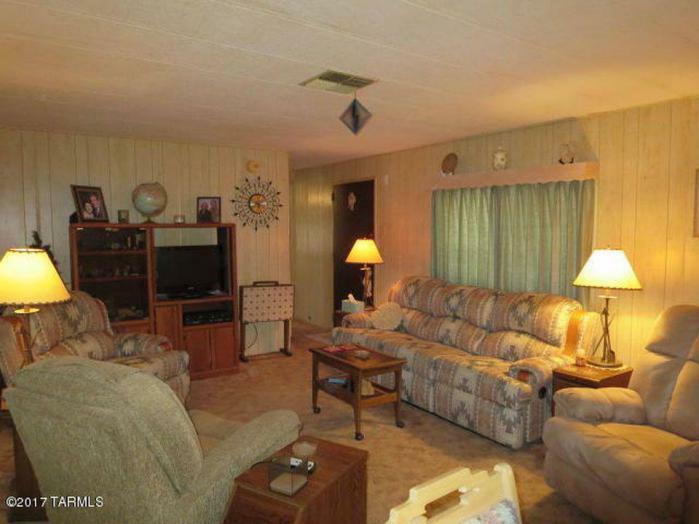 Across from that was a built in bookcase and a cabinet for storage. The kitchen. 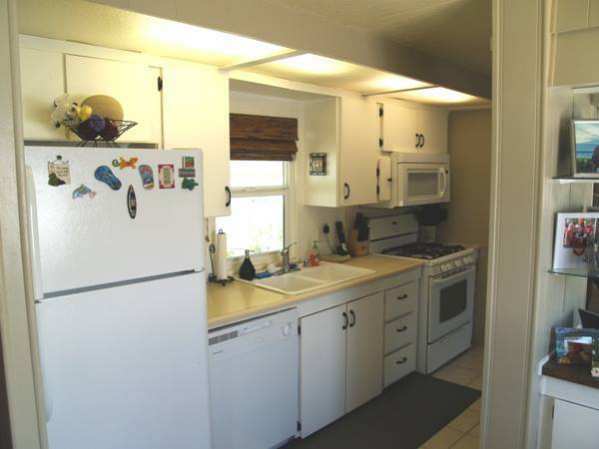 Walking past the cabinets and to the right sits the washer and dryer. 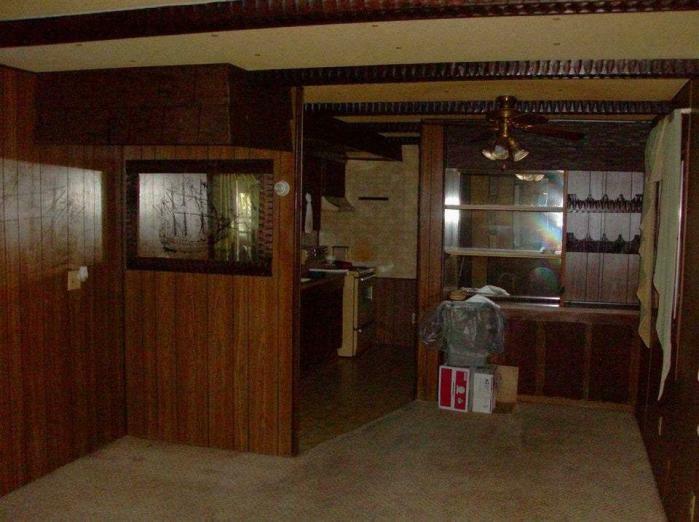 In the living room, many models had a bar with a top surround above it. Living room bar and dining room built-ins. Updated living room in a Fleetwood Festival (aka Broadmore). This is looking toward the front door and second bedroom and bathroom. 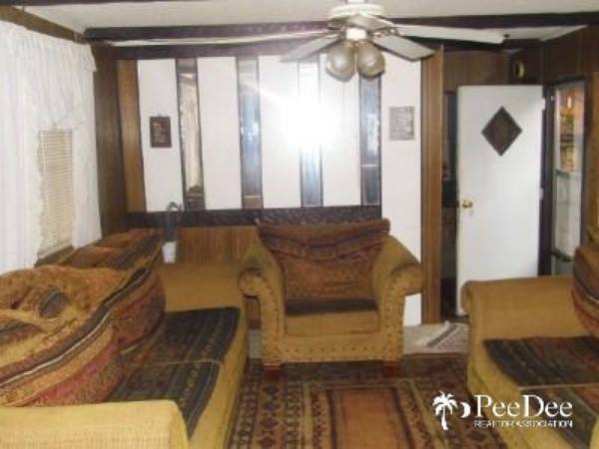 Original living room in a Fleetwood Festival. Related: See 9 amazing mobile home bedrooms here! The master bedroom had two windows, one on the front side of the home and the other on the back side. This was rare at the time. Entry to the master bath was through a large open door with a plexiglass and wood surround. Another master bedroom in a Fleetwood Festival. 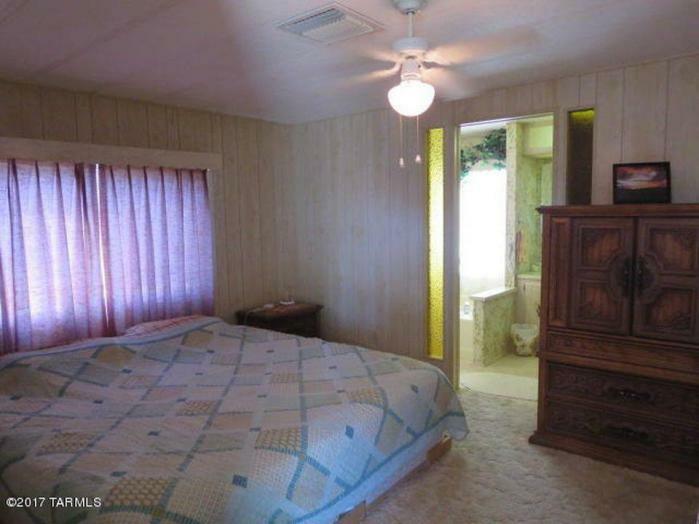 Notice the plexiglass windows on each side of the bathroom door. Opposite wall in the master bedroom. Original mirror installation around the Festival’s master bathroom garden tub. 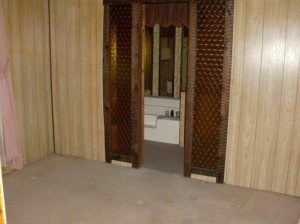 The original entry to the master bathroom. 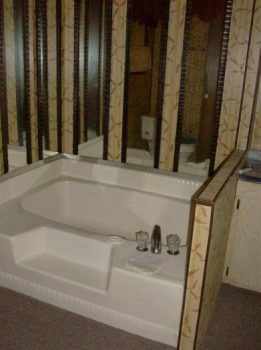 Unique for the time, the Fleetwood Festival offered a garden tub as well as a single person shower in the master bath. 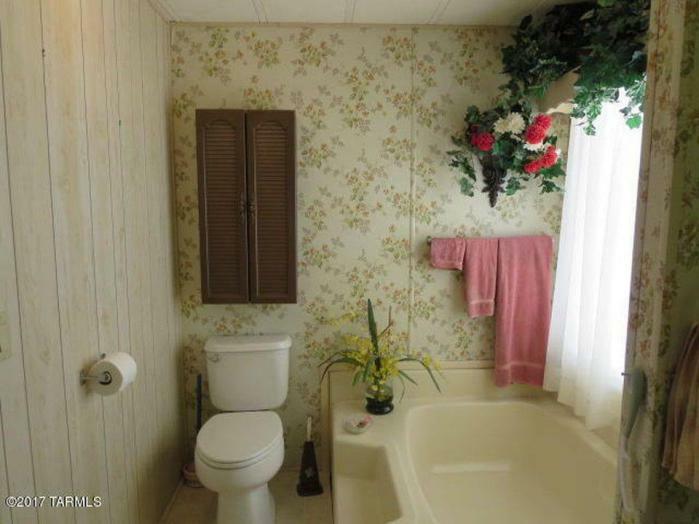 The master bath must have really been a showpiece at the time. It impresses me still today. Master bathroom garden tub and toilet layout. 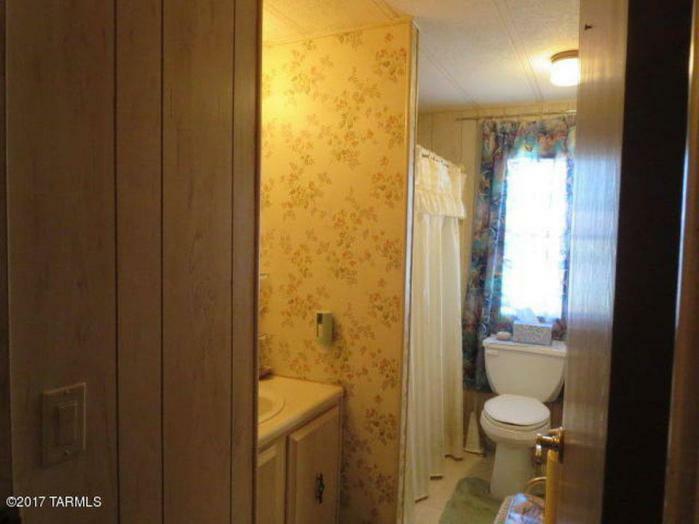 Related: See 7 before and after bathroom remodels here. It had the garden tub at the left rear (front side) of the home. The commode was beside it, though there were various layouts throughout the years and factories. 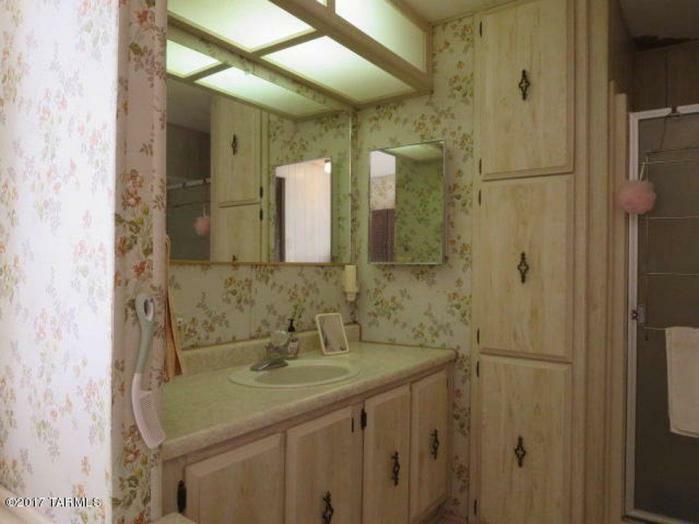 The master bathroom in a Fleetwood Festival was a great use of space. Also featured in the master bath was a faux marble sink, a single vanity, and a linen closet or additional master closet, right beside the shower stall. Second bathroom of a Fleetwood Festival. Related: Learn about Spartan Trailers here. The front bathroom had an entry from the short hallway as well as the front bedroom. The exterior of the front door repeated the entry to the master bath with plexiglass windows beside the entry door. Changes were slow and evolutionary and as time went on the Fleetwood Festival, or Broadmore as some know it, lost much of its original charm. But, if they came out with this home (at the very least the same floor plan) I would buy one asap. Original siding colors of an older model Fleetwood Festival (aka Broadmore). A huge thank you to Steve Lancaster for sharing his knowledge with us! 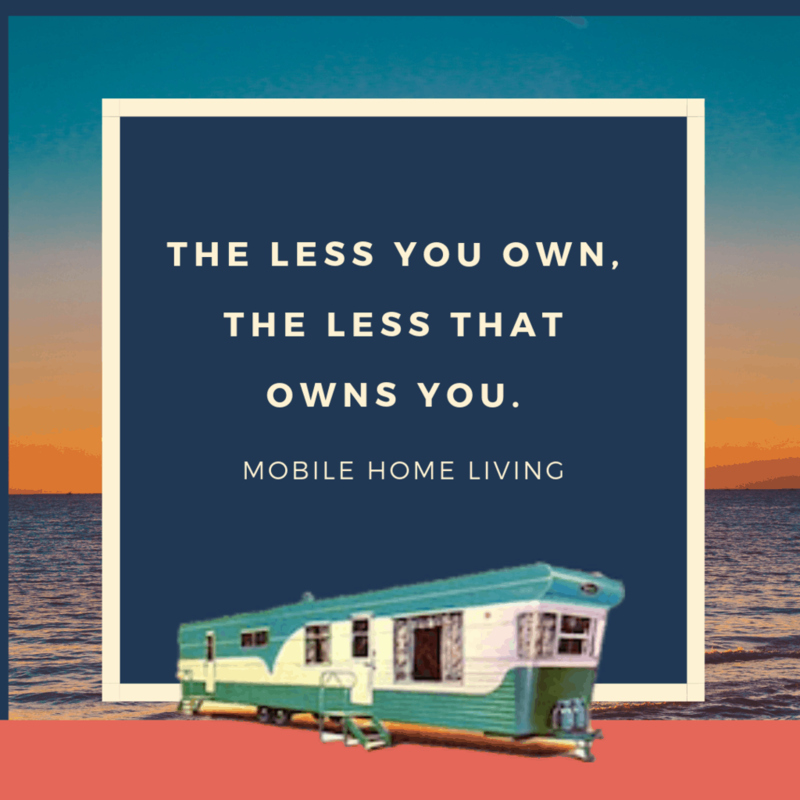 Do you have any favorite classic mobile home models? Tell us in the comments below. I wish the newer mobile homes had this charm. It seems after 2000 they lost that charm. Went to cheap material and just thrown together with no heart. Seems if you want a cheaper home you don’t deserve charm. The older model single and double wide’s are my favorite. So much character and unique layouts. They all look the same now and get kinda boring. Yes there are gorgeous ones available now but at the price of the new grounded homes on the market. 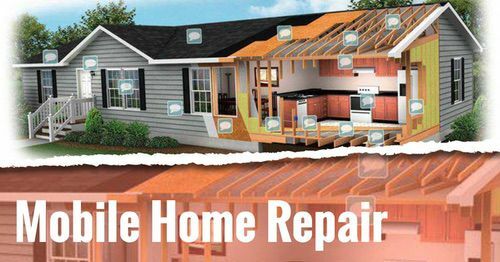 I will stand by mobile home remodels through and through! I agree, Cortney! 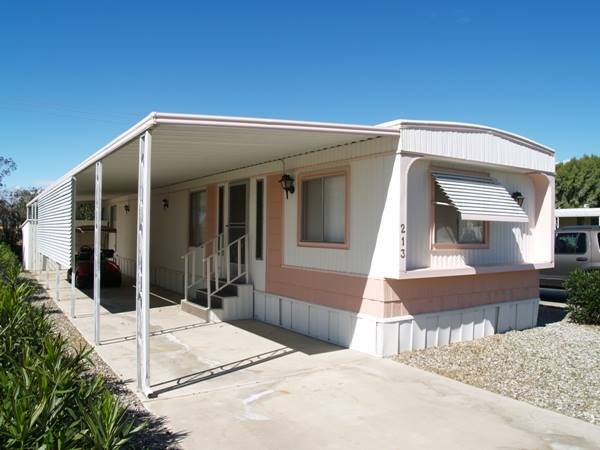 After the big manufactured housing boom in the mid-1990’s the industry seemed to stop trying to innovate and adapt. It’s a shame, really. 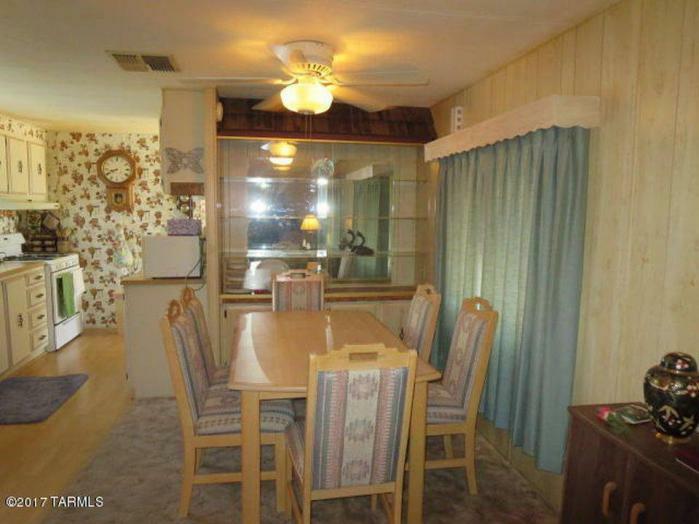 I grew up in a 1971 Fleetwood mobile home. It had a lot of built-in cabinets in the bedrooms, a desk, separate laundry room, etc. The master bedroom had a half bath in it that had the sink/vanity actually in the bedroom, the toilet was in a separate room. I would love to find floor plans/pictures of similar homes! This sounds familiar and thankfully Fleetwood is a popular brand. I’ll keep my eyes out for one that I can share. Thanks! I just bought a 1999 Clayton Santa Fe 2/2. Just to let you know, it has some similar features. The master has french doors that lead to a master bath w/double sinks and garden tub in one room and a separate room has shower stall and toilet. 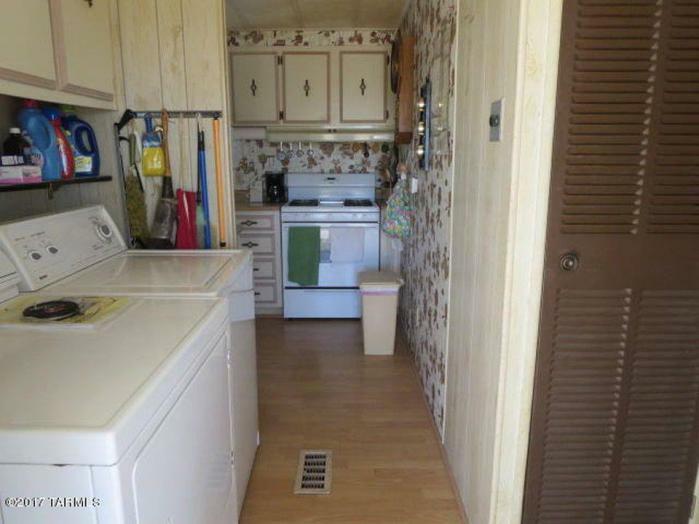 There is also a separate laundry room to the side of the kitchen. Not a lot of built-ins or anything, but still pretty nice. I grew up in a 1971 Fleetwood home, 14×70. Lots of storage, and it had a separate laundry room next to the kitchen. The master bedroom had a half bath with the sink/vanity in the actual bedroom, the toilet had it’s separate room. My room had built in dresser, a desk with wall mirror, and a built in cabinet. I would love to find pictures of this model – seems like it was a truly unique one. 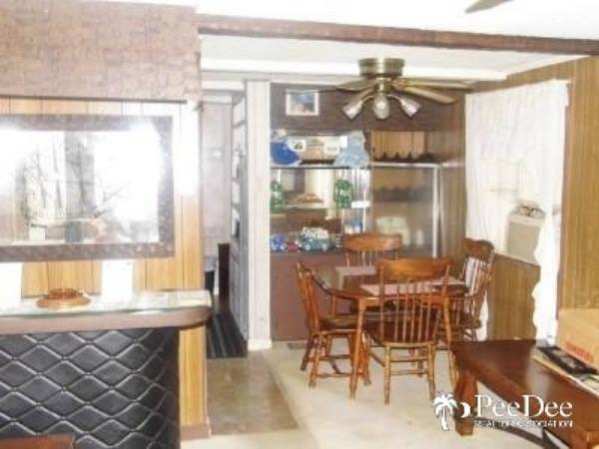 My mom lived in a Fleetwood doublewide for18 years and with all the doublewides I’ve seen through the years, hers was so spacious, have never seen one that even came close to the amenities and spaciousness of it. It had an open floor plan and the biggest most amazing master bath I’ve even seen. We purchased an 1989 terry older type mobile and have a ton of plumbing problems , drainage from the tub ? An solution s? Another great article! I love visiting your site. 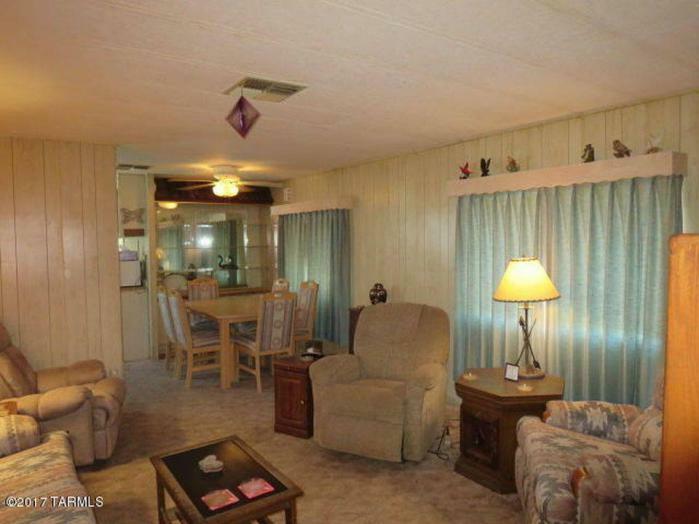 I’m wondering if you, or any of your readers, know the best way to search, and find, older mobile homes/house trailers for sale. 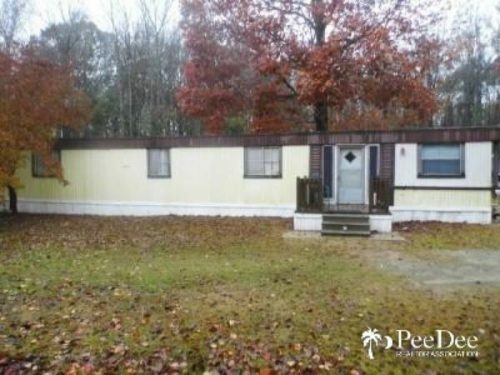 I’m a little over a month away from retirement, and we’re thinking of buying a piece of land in North Carolina/southern Virginia, either with an older mobile home on it or put one there, but I’m not having much luck finding listings other than trailers that are overpriced on realtor.com. We’ll be driving down there in March or so (we have grown sons living in N.C.) but kind of don’t even know where to begin to find something like this. My experience with realtors down there has been that they start talking “houses” that are priced way more than what we want. Not finding much of anything on Craigslist or Ebay, either. A lot of what I’m finding on line are mobile homes in parks that will have monthly rent, but we don’t want that. We’re looking to buy property with an older, vintage like trailer to live in part of the year. Any ideas how to get started? This is an exciting time for you! Congratulations on that well-deserved retirement. 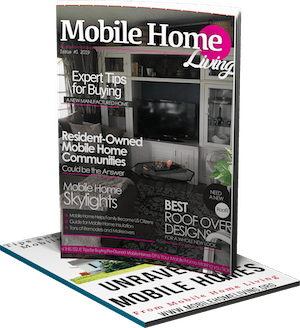 MHVillage.com and Craigslist are my go-to sites for buying and selling mobile homes. I think it may be best for you to buy the property and the home separately although it won’t be easier. 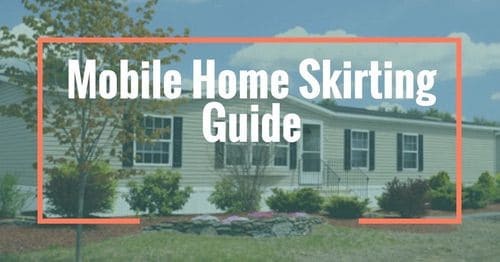 NC and southern VA are both areas I’m very familiar with and manufactured homes are a big chunk of real estate so you may want to keep an agent close while still looking around for land and a home. I think it’s more likely that you’ll get in the exact area and find the exact home you want by tackling the land and home separately. Hope that helps! Best of luck! Let me know how it turns out! Thanks for commenting! I bet he could teach all kinds of things about the homes! For such a modest exterior, the interior was a total surprise. It looked so bright with the larger windows. I’m wondering if this was an expensive model at the time? 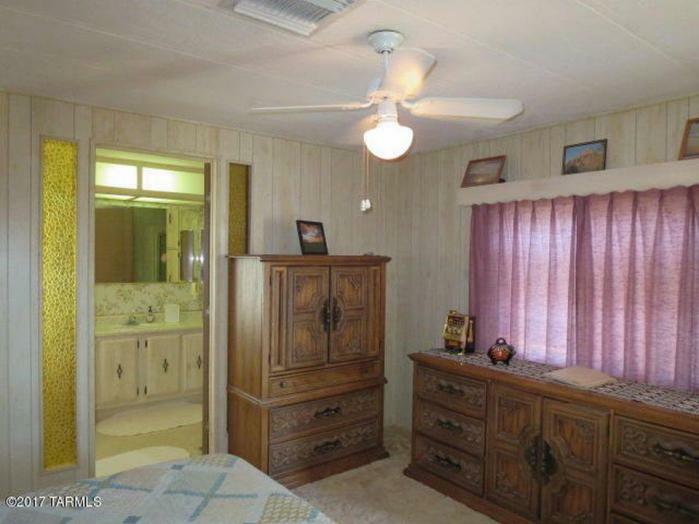 Now, as I search country for original mobile homes, I will add “Fleetwood Festival” to my list. Thanks so much for sharing! I would love to find out the model of our 1977 fleet wood. I would also like to see the floor plan of the model you featured in the article. I have never found a floorplan of it, but I could draw one!